The main theme of this walpaper - my newest fav. pairing - Kira and Lacus were originally two different pictures, I got to merde them together, that they'd look like a one picture. I this that was the hardest thing to do in this wall. 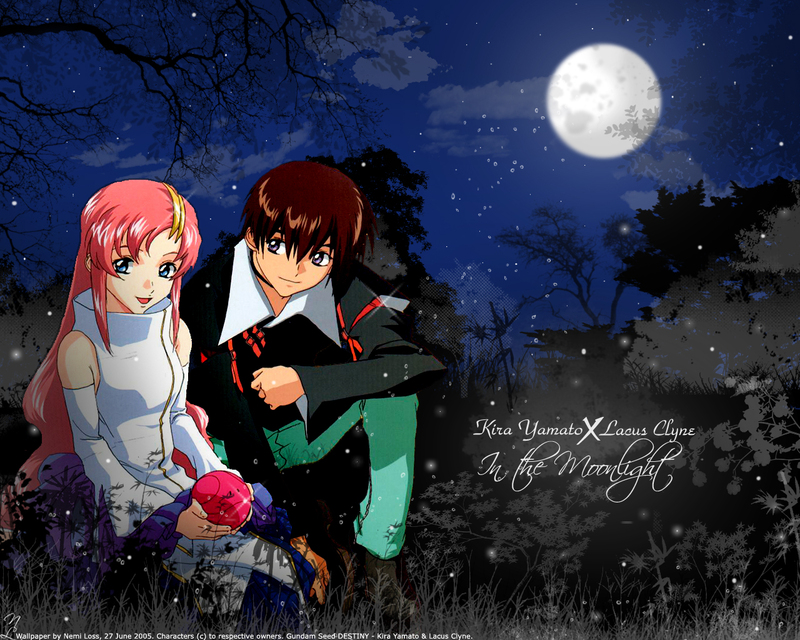 Kira and Lacus... They're together fantastic XD Love them, my cuuuuties.... Gundam Seed Rulez!!! kira and lacus are so cute in this wall you chose good scan to make this wall!! good job I'm a gundam seed fan!!! Nicely done, nemiloss! For your first Gundam Seed wallpaper, you did pretty good. You managed to blend the different images with the background nicely and it shows the amount of effort and dedication you put into it. Congrats again and thanks for sharing! Take care!